John Evelyn and His Times presents an account of the life and works of diarist John Evelyn. 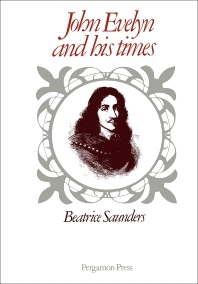 Evelyn came to manhood when the struggle between King Charles I and his people was tearing the country apart. He was a scholar, a historian, an expert horticulturist and forester, a connoisseur of pictures, an authority on architecture, painting, engraving, and medals. His diary is a masterpiece in English literature, and his book on trees, Sylva, is a work of national importance which gave an enormous stimulus to afforestation in Britain. His diary was written, in a very small, close hand, over a period of 56 years, and it is not strictly a book of confessions; he rarely attempted to unburden his soul. Everything was set down with reserve, restraint, and an admirable serenity. Evelyn was acquainted with kings and queens, ambassadors, noblemen, statesmen, bishops, and archbishops, and such men constantly sought his advice. Yet he remained to the end a modest and unassuming countryman.